It doesn’t read through the usb, but the Bluetooth works so that’s alright. The sub works enough to charge so that’s ok.
Bummer is I have to stare at an old new beetle, but then again I barely look at it. The pocket is nice as the Equinox doesn’t really have a spot to store a phone. 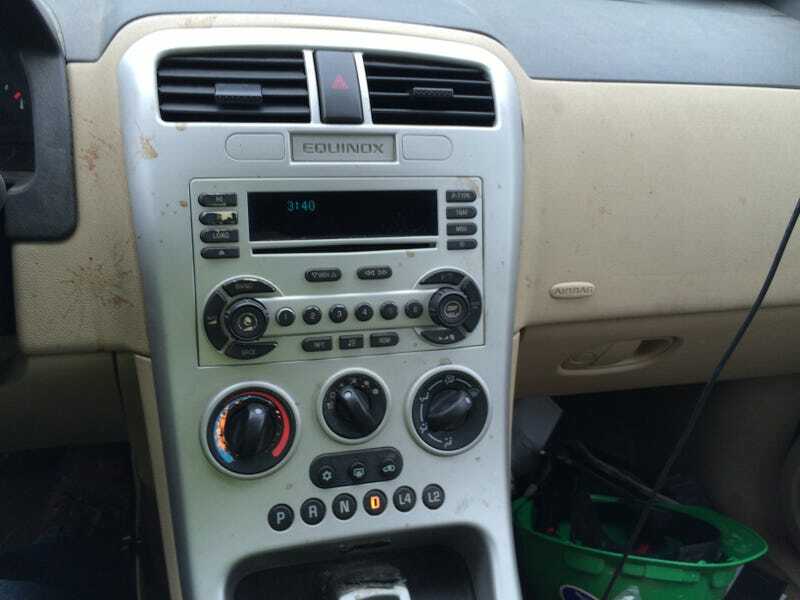 Around 2005 Chevy integrates the chime to go through the stereo or front speakers instead of a stand along chime. That’s the expensive part, as the bracket and adapter / wire harness was $85.